The election results from Tuesday night were mostly expected: Democrats re-took control of the House; Republicans made a few gains in the Senate; and the results of the gubernatorial races, generally, were not entirely unexpected. I was, however, slightly surprised at Scott Walker's ousting in Wisconsin; and at Andrew Gillum's (unexpected) loss in Florida. Claire McCaskill's ouster in Missouri was not a total surprise to me; but the margin of her loss certainly was. And I was also surprised by Mike Braun's upset win over Joe Donnelly (the incumbent) in Indiana--and a relatively easy win, at that. Just a few thoughts on the election results. I was surprised and disappointed that Scott Walker lost because I thought he was doing a great job in Wisconsin. Although I don't like Marsha Blackburn any more than Phil Bredesen, I was glad she won since she will support Trump. Florida being a clusterf-ck of recounts is not a shock. Ag Commissioner, Governor, and Senate races are on very 5hin, and narrowing, margins. Dems did well in the House and Gov. races, but bombed in the Senate. Incumbency did not help in the more competitive contests. On a national level the dems did ok in the house, picked up the majority, but then lost as many as three seats in the senate. Not really an eye popping showing considering a mid-term election with an R in the White House. More of a slack tide than a blue wave really. 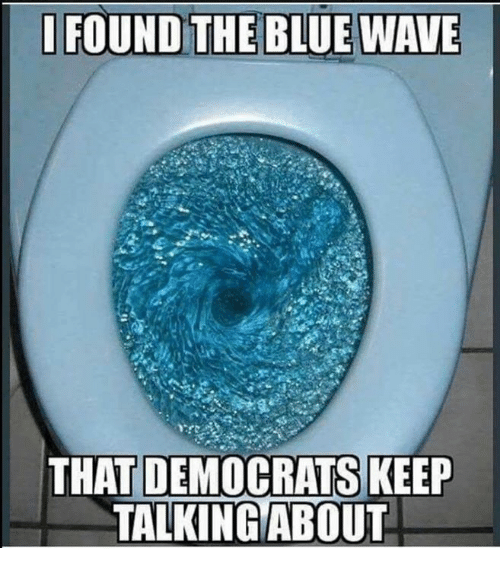 Here in Alaska the blue wave made no appearance, it was a red tide really. R elected for governor, strengthened R majority in state senate, and it looks like the R's will have flipped the state house (one race a little too close to be certain). Arizona's Senate race still hasn't been called yet. Sinema just recently took the lead as some more of the uncounted ballots came in; this, after McSally has been ahead since the end of election night. That would be a huge relief for Democrats if she keeps the lead and pulls off a win. Michigan took a solid blue turn. Dems flipped the Governor, Secretatry of State, And Attorney General spots, kept Debbie Stabenow on for another term, flipped two House seats in a GOP-favored gerrymandered map, made gains in both state chambers, and we passed recreational weed, independent redistricting, and an expansion of voter rights and protections. 117 women were elected, 17 Republicans and 100 Democrats. 42 were women of color. 3 were L.G.B.T.Q. Over 50% of our population is female. So now 1 in 5 in congress will be female.